Howdy, folks. It’s been a while. Due to school, work, and a little R&R (not to mention some content generation for this website) on the east coast this past week we’ve been a bit busy. Though fear not, we’ll churn up more interesting stuff for you to ponder well into the future. Like the former Harding Mall in Nashville, Tennessee. Opened in the 1960s, the 300,000 square foot Harding Mall was a small enclosed center featuring one major anchor and one junior anchor on the south side of Nashville. In later years the major anchor was Dillards and the junior anchor was Marshalls, but we’re sure history dictated some changes here and there and that wasn’t always the case. 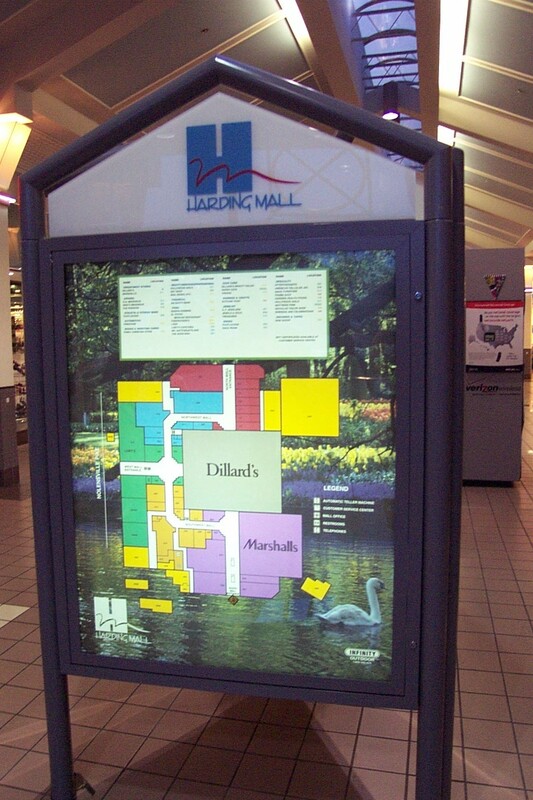 Over time, Harding Mall became eclipsed by larger, super-regional malls also in south Nashville like Hickory Hollow, The Mall at Green Hills, and Cool Springs Galleria. All of the aforementioned are still moderately or extremely successful today, and draw shoppers from all over central Tennessee. Harding Mall’s fate was sealed by this competition; it closed in 2005 and was promptly demolished following a few unsuccessful years repositioned with tenants catering to the spanish-speaking market. By Summer 2006 it was replaced by a shiny new Wal-Mart Supercenter. Not shocking, not even a unique situation, but a bit sad nonetheless. Harding Mall scored design points for its general shape and decorative accoutrements. 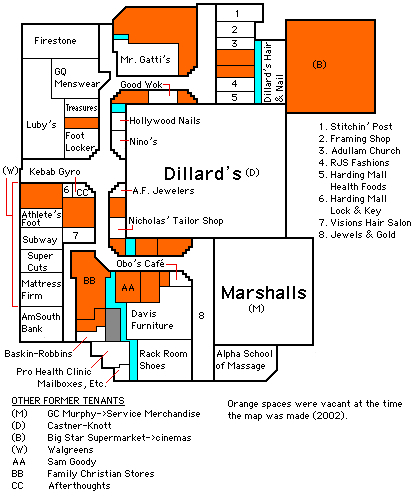 The mall space itself wrapped around the large Dillards anchor on three sides, creating a C-shape. Marshalls hung off to one end, and a cool backlit fountain was somewhere near the middle of the mall. The rest of the center was somewhat dated as well, and the logo is pretty neat too. 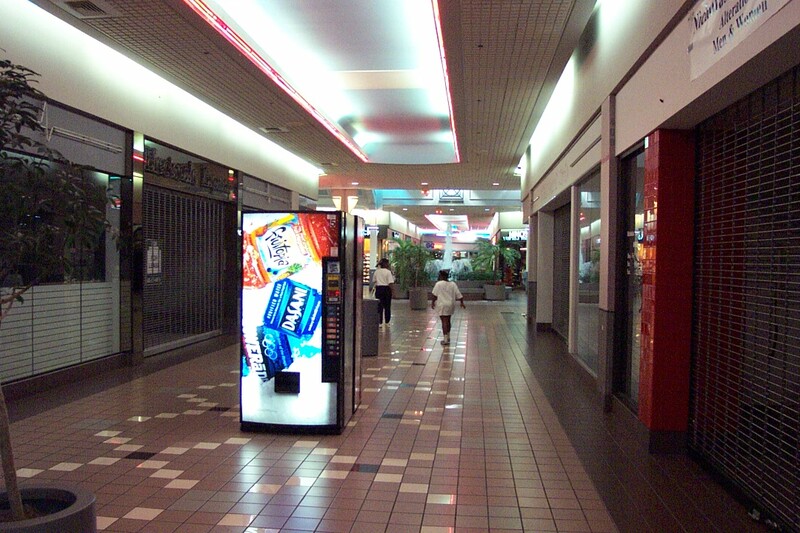 We visited in May 2001 during the mall’s major downswing, and at a time when smaller, ancillary enclosed malls began to fall out of favor in lieu of larger behemoths like the others nearby. Check out the pictures of the mall while it was still around below, and also take a look at some demolition photos posted here. And, feel free to share a few of your own memories and opinions as well. The Dillard’s was originally Castner Knott, that much I can tell you. Castner-Knott was part of Mercantile, which was purchased by Dillard. I’m surprised this store became a Dillard–they already were in the market, having purchased Cain-Sloan, the more upscale Nashville store in the 80s. Dillard didn’t do that well with Cain-Sloan, and Caster’s was the sentimental local favorite, although it operated less complete (no furniture), more downscale stores. I think the junior anchor was a variety store–probably not Woolworth’s, which was a short distance away at 100 Oaks. there may have been a supermarket there in the beginning, as well. probably a Kroger–HG Hill was across the street and the mall probably predates Winn-Dixie’s unsuccessful entry into the market. The mall had a very popular Walgreen’s. There used to be dark, dirty neglected K-Mart across the street. In 1990, it looked like it hadn’t been touched in 20-25 years. 15 years ago, the clientele was mostly white and solidly middle class. The surrounding area, known as Paragon Mills was one of the few truly racially integrated areas of Nashville. A that time, the Latino community was tiny and concentrated near St. Patrick’s Church on the near South Side of Atlanta, an area that also was showing signs of gentrification. The mall did a fair business, but already seemed anachronistic. The real competitor here would have been Hickory Hollow, further South, a huge but very generic complex. Green Hills draws a totally different demographic, ditto Cool Springs. Green Hills has been around since at least the 60s, Hickory Hollow since the 80s. My guess is that the demographic changes in South Nashville, and the general weakness of small secondary malls like this accounted for its death. In addition, this area of Nashville never attracted the kind of growth one that’s happened in what’s considered “West Nashville” or Franklin County, which are both more affluent. . The junior anchor was a Marshall’s for awhile. Walgreens became Supercuts and other stores, before it was torn down. Marshalls – now keep in mind this is just speculation – may have been Kresge, or maybe Rose’s? Anyway, what store was in what looks like a 3rd anchor space for this mall on the upper-right hand corner of the store directory pic? I’m betting there used to be probably some long-gone anchor that was in that space at one time…. Really love the pics of this mall, too! (and particularly the fact that a lot of neon was still present in the mall, even around the time of its closure, and visible in the demolition pics taken about 11/2-2 years ago) It’s too bad malls with more personality(like this one) seem to not be more common, since the bigger super-regional or regional malls often have sadly killed off these smaller malls(such as Harding) that had real character of their own. The store in the upper right was actually a movie theater. It was a 6-plex discount theater. I used to go there when I was in college. I didn’t like it because it seemed “ghetto” but it was cheap! Also the Luby’s cafeteria was the best there. Much better than their location at Cool Springs…the food seemed simpler, not as fancy. These pictures and the article really brings me back. I remember when the chinese restaurant Wok Inc. was located at 100 Oaks and then moved to Harding Mall. I used to eat there all the time, both at 100 Oaks and Harding Mall. I have many fond childhood memories of both malls. I’m looking for pictures of 100 Oaks (and Harding Mall) from the 1980s. I wish I would have taken some pictures of 1980s 100 Oaks. If anyone has any, I would love to see them. These unique pics and the article really brings me back. I remember when the chinese restaurant Wok Inc. was located at 100 Oaks and then moved to Harding Mall. I used to eat there all the time, both at 100 Oaks and Harding Mall. I have many fond childhood memories of both malls. I’m looking for pictures of 100 Oaks (and Harding Mall) from the 1980s. I wish I would have taken some pictures of 1980s 100 Oaks. If anyone has any, I would love to see them. The junior anchor at Harding Mall in the 70’s was Murphy’s. It became a Marshall’s in the 90’s, but it was some sort of Service Merchandise store in the 80s. There was also a cool movie theater there called the Capri Twin. It became a second-run dollar theater in the mid-80’s. The other minor anchor was a grocery store. I believe it was called Big Star. The Castner-Knott added a second story and the mall went through a renovation in the late 80’s. 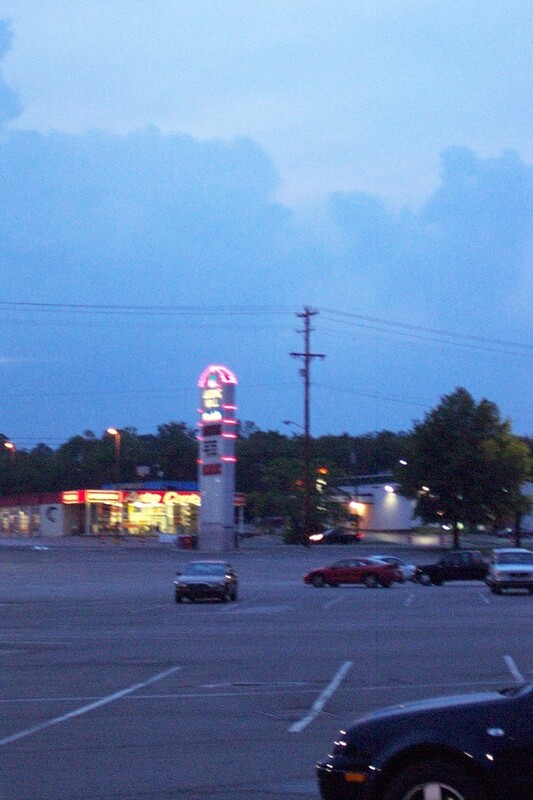 The Capri was replaced with a larger Carmike Cinema at the location vacated by the grocery. My favorite memory of Harding Mall, though, was the Karmelkorn store on the center court. It made the entire mall smell like caramel and butter. Good times. a) Who owned this mall? b) A list of stores, please? c) When was it renovated, if whenever? a. Mission Property Company owned the mall, at least in its last days. For those who are curious, the GC Murphy was indeed Service Merchandise before it was Marshalls. According to Google News archives, Marshalls opened in 1983. I’ll whip up a map. The Service Merchandise store was a clearence store that sold slow moving or bulk items. a) Did the Firestone have an interior mall entrance? b) Any information on the “unsuccessful years” with the Spanish tenants? @Jonah Norason, I clearly remember there was no interior signage for Firestone in HM. 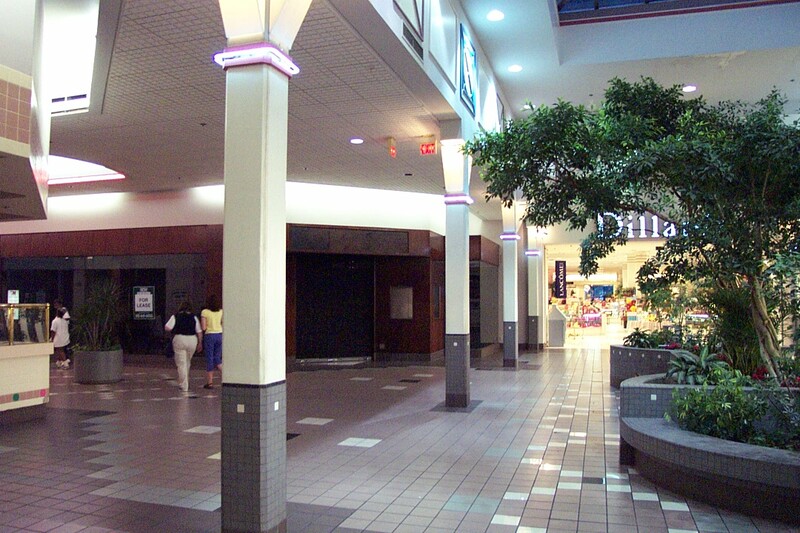 There may have been a service doorway which could have gained access to the interior mall, but not entirely sure, There were a few stores that had outside only enterances (such as Firestone, Baskin Robbins, FirstAmerican (Amsouth), and Clothworld). I don’t know — I’ve only been in Tennessee once, so I’ve never been to this mall. The information I got was from Google News, Storetrax and other websites. Wow! Thanks for stirring up some REALLY old memories! I remember this mall from my years in Nashville when I was a student at Vanderbilt in the late 1970s to early 1980s. This was a nice, well-kept little mall. I remember the unusual design with the anchor store,Castner-Knott, right in the middle. However, this mall seemed to get very little attention from most of the college students I knew. At that time, 100 Oaks, which was pretty close to Harding Mall, was still thriving. But the biggest shoppping venue (at least for those students who had cars, or could bum rides off friends who did) was Hickory Hollow, which had just opened. Also, Rivergate, to the north on I-65, was a large, popular, and very nice shopping destination. When I returned to Nashville for a reunion in 2000, I drove around town a little to see how things had changed. It was sad to see that Harding Mall was apparently on its last gasp. And I was shocked at how Hickory Hollow, which had been so beautiful and new when I was a student, was now incedibly run-down and seedy. As for Rivergate, I haven’t seen it 25 years, so I don’t know if it’s as nice as it once was–or even if it’s still in existence. Thanks for this great website–keep up the great work! From around 1976 or so, I remember Harding Mall having Bookworld, Radio Shack (directly next to Castner Knott), Port-O-Call records and tape, a rare coin/stamp shoppe with baseball cards coming later, Walgreens with a restaurant grille, G.C. Murphy Variety (east wing accross from Capri Theatre), and Irelands restaurant (accross from Walgreen). I also remember the smell of popcorn and getting Icees at Karmelkorn. About that period, my dad bought a shortwave receiver at RS—I also remember seeing the cool color light organs (very popular during the disco years) RS had for sale. These color organs would respond to audio beat from the stereo system–looked cool in the eyes of a child. Marshalls came in towards the mid 80’s (83 sounds right). The health food store was there as long as I could remember to the time the mall closed for good. I don’t remember Big Star grocery, but there was a cloth world fabric store where the larger carmike was–never went in there. 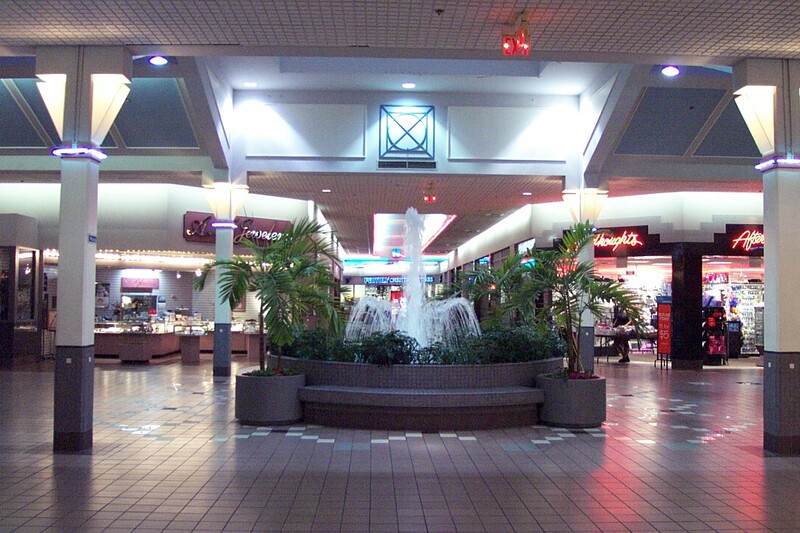 Of note, HM mall received major alterations toward the close of the 80’s (removed plastic tublular benches and replaced to what you see in the pictures), interior lighting, and added stores in the interior connectors (as shown in the section with Sam Goody and Family Christian Stores). Other alterations were done around 1992 with the exterior and ingress/egress, parking lot lighting, repainting of the Castners Signage and so forth. About that time the mall picked up secondary tenants and more ethnic related clothing stores; though its renaissance was short lived. A poscript: I have read (either in Nashville Tennesseean or Nashville Scene) where HM was the first completely enclosed shopping center (though called a mall) in Tennessee. 100 Oaks is commonly credited for being Nashville’s first regional mall. Opening year of 100 Oaks would be 1967 (though one source states 1968?). I have seen three dates of HM opening: 1963, 1966, and 1969. My friend Mike (who lived in Naahville then) told me 1969 was the year Capri theatre opened. He first remembers going to the mall when it was new when he was eight, which would be 1966. A newspaper clipping that I remember seeing when they announced closing a couple of years ago gave a 1963 date for opening (not sure if it was Tennesseean or Scene papers). The Capri Twin opened March 26, 1969 at Harding Mall and “The Horse in the Gray Flannel Suit” was the first movie. It was a single screen theatre until it was twinned at some point between July 1978 and July 1979. Wow, I stumbled upon this website by accident trying to google Irelands Resturant. I lived off of Paragon Mills Road and remember at the age of eight, taking my little red wagon around the mall as it was being built to gather cola bottles that I returned to the 7-11 that was nearby. All the construction workers had me covered. 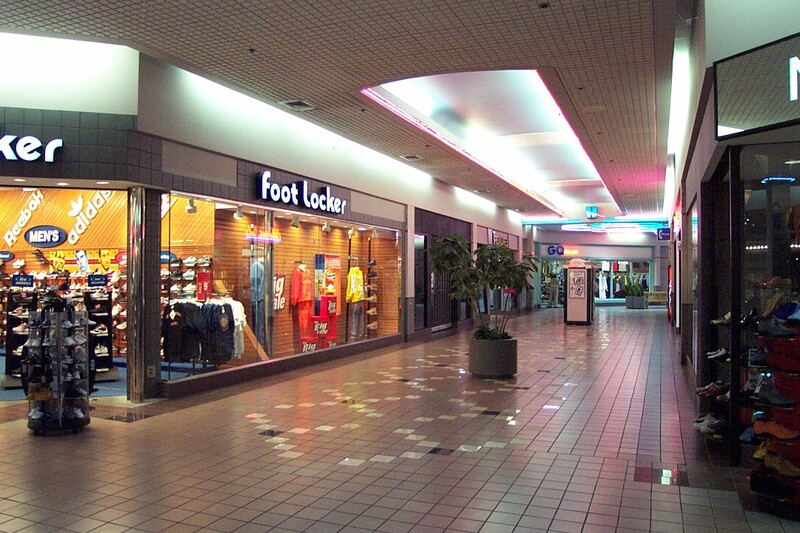 I grew up with this Mall until I moved from Nashville in 1989. Port-of-Call was our favorite record and “head shop”. I’m really missing it. Seven Mile Creek ran right behind it. @j.t., Yes, that would have been accross from Bookworld and the HM Locksmith shop, down from Radio Shack. I remember seeing Jaws 3-D at the Martin, and playing the Scramble machine in the lobby, while we waited for everyone to get food. But I just remember the theater, itself being really nasty. And small..It was the first movie I saw upon moving to Nashville. From then on, we went the extra few miles down the road to the Cinema South, until the Carmike Brentwood Three opened up. And I think the Baskin-Robbins was the only store to survive from the malls birth, to it’s death. There use to be a pizzeria in harding mall around the early to mid 90s, does anyone remember the name and do they still exist? @Renee, It was called Picnic Pizza owned by Sal Oliveri ( Sal’s Nightclub) and Sammy Magaddino. Im 22 years old, I Know this cause these are my uncles. My Dad operates Angelos Picnic Pizza & Italian Resturant in Antioch. It is the same pizza. But hurry,, my dad is dying of cancer he has six moths to live, my brother is taking over the business. I remember harding mall as a kid- E-Gads baseball cards is where I spent most of my time. Remember the green and red swivil seats from the pizza place? Well they are at SAL’s Pizza on Stewrats Ferry pike. My uncle Sal just sold that place to Russians but its not bad. Note: Picnic Pizza was before Mr Gatti’s but in the same spot accross from the cookie store. Mr. Gatti’s was the pizza store in Harding Mall. It was there for several years and THE spot for lunch. Two large TV’s on premises usually broadcasting sporting events. This was the restaurant, besides Luby’s, to go to. Renee, Mr. Gatti’s still exists, but they changed their name to Gatti’s Pizza. My city has one of the 9 “Gattiland” locations in which there’s a large arcade as well. The grocery store was “A&P” . A restaurant called “Irelands” was also there and they had delicious steak and biscuits! @Liz, now that you mention A&P, I vaguely remember the front of that store having a signature frame “apex point” like other A&Ps had. I would say that facade was redone by the end of the ’70s, though. My memory of A&P in the HM area (1975) was at the strip shopping center (Tradewinds) close to the railroad underpass on Nolensville Pike (3700 block). A few years later all of the Nashville area A&P’s closed, and that store became a Stein Mart during the ’80s and well into the ’90s. I moved to Nashville in 1988 and remember going to Harding Mall and thinking what a vibrant and unique mall it was. I bought a Panasconic tape alarm clock from the Electronics Botique in 1989. The Electronics Botique was located towards the Marshalls. I remember thinking how strange it was that a Marshalls would be in the same mall as a Castner Knott. My family had just relocated from Northern Kentucky where Castner Knott’s sister store, McAlpin’s, was located. Castner Knott was not as upscale as Nashville’s other major department store Dillard’s nor was it as upscale as McAlpin’s was in Kentucky. The Castner Knott in Harding Mall was very outdated and depressing. The Marshall’s was much more exciting and fun to shop in than the Castner Knott. When the mall was remolded in 1991 it had a new addition and expanded the Marshall’s wing to include a large Bookland and DressBarn women’s fashions. The Sam Goody on the other end of the mall near the new Carmike 4 screen movie theater was a very large Sam Goody and seemed almost too upscale for the little mall that could. After the mall was remolded it lost the electic and unique feeling and adopted a generic, cheap feeling. There were also two freestanding restaurants that were built in the mall’s parking lot at this time. Chi Chi’s Mexican Restaurant and IHOP were built in 1991. I was really amazed that Dillard’s kept the former Castner Knott open after the Castner Knott acquistion. Harding Mall was defidently a unique and interesting mall in the late 1980’s. @Carmen, I bought a Sangean portable Shortwave Radio at that Electronics Store in 1989, paid $69.88 on sale from $89,99. Still have it around in my closet. 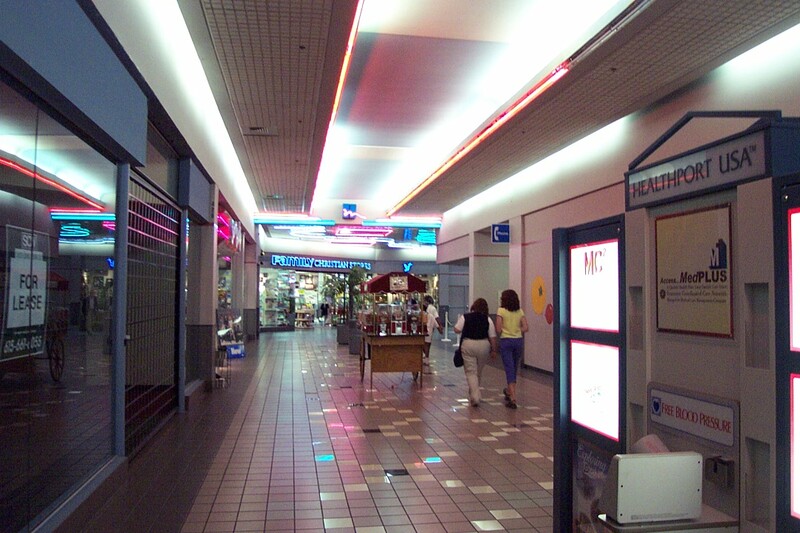 1991-92 was the year had expanded the “interior hallway wings” to include smaller stores; previously these were simple, somewhat dark walkways connecting the three wings of the mall. 1991 was the new Bookworld on the east wing by Marshalls. As I remember, 1988-89 period broght minor, yet much needed improvements to benches, air conditioning, and interior lighting of the mall to make it more inviting. Too bad the mall couldn’t economically hang around, it was conveinent to South Nashville and Crieve Hall areas. I never spent much time at this mall except for Mr. Gatti’s pizza buffet. The pizza was decent, and it was the only place I knew of at that time where you could smoke, drink beer and wolf down all-you-can-eat pizza. What happen to Wok Inc.? They had the best lo mein! I’m trying to find them again too. The last time i was talking to them, which was the last day of them in the mall I think, they told me they were moving. Unfortunately I was sick that day and did not catch where they were going. They said next to a Kroger in a new shopping mall, I think… and I thought it was the Kroger on Thomson Place, but that Chinese establishment is not them. What was the other sports memorabilia store called right before it closed? I bought a lot of memorabilia from that store which I still have today. I can’t recall the store owner’s name but I hung out at the store many nights. Does anyone remember his name and where he is today? Thanks for all the memories. Please keep up the talk. @Ron, I think that would have been the Coin Purse. I remember this too, it was closer to the West side of the mall as I recall. This store mainly sold rare coins, currency, a limited selection of estate jewelry, and some memorabilia type items though not as extensive as E-Gads. Coin Purse is still around near Green Hills Mall, but is strictly into coins and bullion these days, 100 Oaks also had a similar store next to Woolco on the Harveys side, but it wasn’t called the Coin Purse. Hey, I was just looking up stuff on the internet and saw your post about E.Gad’s. I was Ed’s wife, and naturally, I have a lot of fond memories about the store, the mall and Nashville. Ed was such a big kid at heart and always tried to make everyone feel special. I moved back to my hometown in WV 2 1/2 years after Ed’s death. Our son, Doug is 18 now and a lot like his dad. Anyway, it’s good that people still remember…I’m on Facebook, if you’d like to chat about old times! The mall was torn down around 2006 and now a Walmart has taken its place. It is actually the first Walmart in Nashville to have bilingual signs due to the growing population. The nearby 100 Oaks was basically saved by Vanderbilt Hospital who moved some of their offices and clinics into the space after renovating it. The remaining stores are still accessible and with new life at the bottom and ends of the mall. 🙂 Any memories you would like the share? I am his daughter….he passed away in 1995 but I like to keep his memory alive! Hey…I was just looking up stuff on the internet and saw your post…I remember Jennifer mentioning something about it before. I was Ed’s wife…and moved back to my hometown in WV after his death. Our son Doug, who was not quite 2 at the time of his daddy’s accident, is now 18 and will be a senior in HS next year. It’s awesome that folks like you have fond memories of the store and of Ed…he was just like a big kid and always had a generous heart. I’m sure our son, Doug, would love to hear anything special that you’d like to share. Anyway, thanks for keeping E.Gad’s alive in your heart! I remember going into E-Gad’s when it was at its old location before the mall got its facelift and Ed was able to move to a more prime location. I enjoyed going to his store all the time. I can remember my mom would let me walk down that dark hall way, while she shopped at Castner’s, and just hang out in his store and look at all the cards I enjoyed collecting. I would finally make my selections and make my purchase and Ed, always with a smile, would say here have a piece of bubble gum, from his big bucket of Dubble Bubble and give me a piece. I was probably around 9 when I first started going in there. He always made me laugh and feel special. I continued buying from Ed when he moved to the larger location after the mall’s remodel. I was I was 23 when Ed passed away and it saddened me dearly. I had only saw him a few days earlier at the Wal-mart up the street from the mall, where I worked. I helped him pick out some picture frames that he wanted to put some autographed ball players 5×7 photos in to sell in his store. He returned back a couple of days later to get another one because he had broke one of the frame’s glass by accident in his van. We shared a laugh and walked over to the toy department together and I believe were talking about the new trend “POGS”, I cannot be 100% sure about that, but seems like that’s what we were talking about. Ed was a great man, I still collect baseball cards, maybe not because of him, but those memories he gave me have lasted a lifetime. There is not a time that goes by when I am sorting through my cards making sets that I don’t think of him sitting behind that counter on his stool sorting through cards and always smiling. My stepbrother and I went in to E. Gad’s all the time when we were kids. I remember he was selling his “rookie” softball card for 3 grand or something crazy like that. It cracked me up everytime. Tears are flowing from my eyes. I am the daughter of Edward Gaddy who owned E.Gad’s Baseball Cards! I remember when the store first opened when I was a little kid. I would help out at the store every day I could. 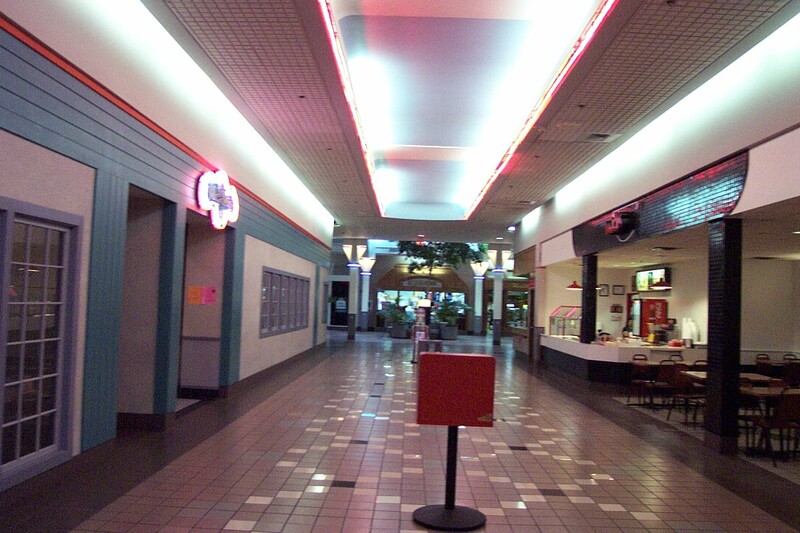 My friends and I have so many good memories of the mall. 🙁 My dad died 1995 so this is why it really hurt me when I heard they were tearing it down. Thanks for sharing your stories about E.Gad’s. Those were the good days! I knew your dad as a kid. My Uncles onwed Picnic Pizza in Harding Mll across from EGads. I still have some business cards and a note from your dad he wrote me. I sent your mom a message on face book. I never knew what happened, but wish i had the opportunity to say good bye. During demolition, i snuck into the mall. The floors in th old egads were the same. I guess no one else rented th spot. It still had the base ball diamond floors. I stood in the suite untill security ran me off. I miss that mall and you dad. Im so sorry for your loss. I am hoping to get my story published some day. Its a memoir to my son, but its also about my life in the pizza industry. I wish I could remember more from those days. I was only 9 when he died. I think I remember Bruce, He was the guy that used to come in around 6 and close the shop and work Saturdays if i remember. Im sorry to hear he passed. ..especially a fresh hot calzone!!! I’m half Italian so it was nice having your family there. I remember telling your uncle that all my mom ever taught me in Italian were the curse words and he would laugh at me! My son turns 20 next month and he has so many of his dad’s traits, even though he never got a chance to know him…strange how that happens. Douglas is a very generous, friendly and well liked young man and I know his daddy is proud of him. I still remember how hard it was telling everyone that Ed had died…most stood in the store in total disbelief and grown men burst into tears…it was so very heart wrenching. I’m sorry you lost your dad…but I’m pleased that you have such wonderful stories to tell your son. I never heard anyone mention all of the buckets that seemed to stay permanently in all 3 of the mall entrances to catch water from the leaking roof. -Like many above, I have fond memories of E.Gad’s. I still have some Topps late ’80s complete sets with the info hand-written on the outside of the box. “1986 TOPPS”, that sort of thing. I remember finding a 1961 Vada Pinson Topps card in the loose card stack and being thrilled. Remember this was the pre-eBay era when you couldn’t find obscure types items with the ease of today, and I was thrilled to find an older card like that simply because I had never owned one. E.Gad’s is easily the store I mostly fondly remember from Harding Mall. Gone but not forgotten. 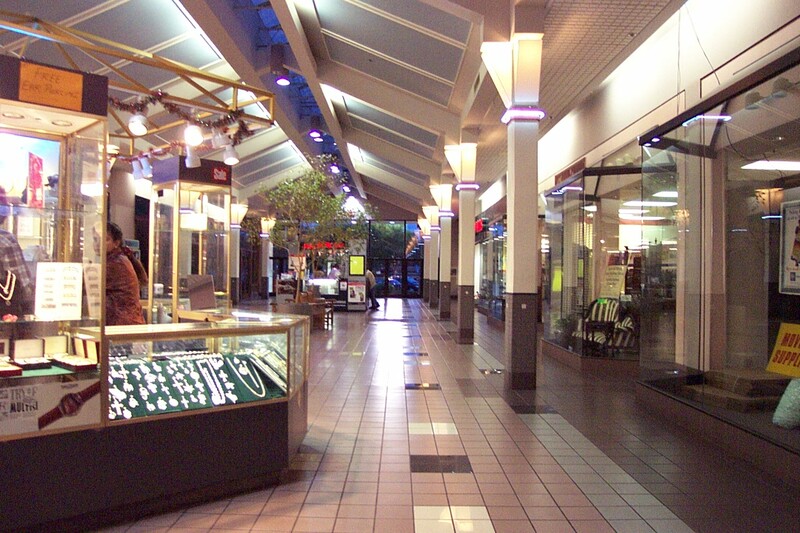 -The walkways in Harding Mall were poorly lit, at least as I remember them. I never felt afraid there (compared with, say, the night I went to Opry Mills when the film “Notorious” had opened and a brawl nearly broke out by the entrance), but especially in hindsight it wasn’t an ideal layout from a lighting standpoint. Perhaps the later renovations changed that to a degree, but it’s always the perception I’ll have of the facility. -I recall the Baskin-Robbins being located directly next-door to a weight-loss clinic, which was rather amusing to me. The entrance to those exterior-only access businesses was from the portion of the mall facing Harding Place that was on the I-24 side of the intersection with Nolensville Road. -In May 1990 Carmike Cinemas opened a six screen theater there, and I recall going to see The Hunt For Red October there in either its initial weekend of business or soon after it opened. -I’m guessing that Service Merchandise moved to the stand-alone location it had down on Nolensville Road (further down heading away from town) since I recall that being open circa 1984-85 as a stand-alone. That building is now home to a Korean market. -The Chi-Chi’s restaurant in the parking lot had good food and I remember being disappointed when it closed. I thought its closure happened to make room for the IHOP they squeezed into the corner near the big intersection, though my memory could be incorrect about that. -An earlier post mentioned the KMart across the street… it’s still there. I remember when it had a Big Star grocery store as part of it circa 1984. At some point the Big Star closed and the KMart expanded. I’m somewhat surprised its still open, especially with the Walmart across the street being so close. -I dropped plenty of cash at Bookworld and Sam Goody’s in the early 1990s. Some of my earliest CD purchases were at that Sam Goody’s. -In many ways, it’s impressive that Harding Mall lasted as long as it did considering the competition from larger and newer facilities like Hickory Hollow and, later, Cool Springs. Thanks to everyone who shared their memories of the place on here.